Keohane’s of Bantry. Their catch to your plate. When I was growing up in the fifties and sixties, Catholics abstained from meat on Fridays. Fish was the preferred alternative. 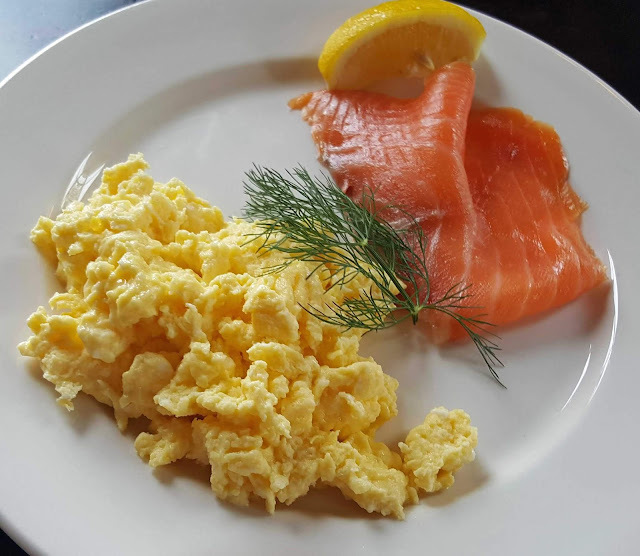 Preferred is hardly the right word as the bony little white fish dished up religiously was regarded, not as food, but as a danger, a nuisance (all those bones) and a penance. Fish, wrongly, got a bad name in this island, a bad name from which it is now almost totally recovered. Indeed, over much of the past week, the week after Seafest in Ringaskiddy, we’ve had fish just about everyday. 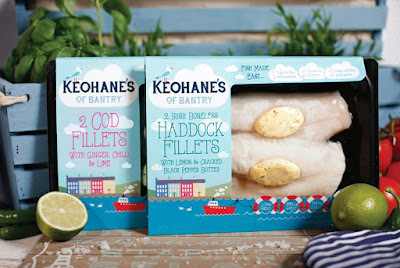 And on some of those days, the fish has been supplied by Keohane’s of Bantry. It is a family business and dad Michael (The Cod Father) has been fishing the Atlantic waters for thirty years. Keohane's process the fish at their Kinsale Road facility. I know we should all try to eat fresh fish from the market or the fishmonger but we are not always near them. You’ll find it hard to get fish in many rural areas and even in the cities large areas, Mayfield for instance, have no fishmonger. Then if you are working, you may not have time to go nor time to prepare. Keohane’s can come to your rescue here. 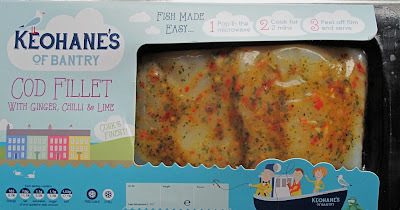 Their Microwavable fish comes in a vacuum pack (some for one person, some for two), usually with a garnish of herbs; take the container, pop it into the microwave and, in a few minutes, you have a tasty dish (with no strange additives in it ) in front of you. I tried three of their offerings. First up was the Cod Fillet with Ginger, Chilli and Lime. Lovely inviting aromas as it came to the table and it tasted great as well. 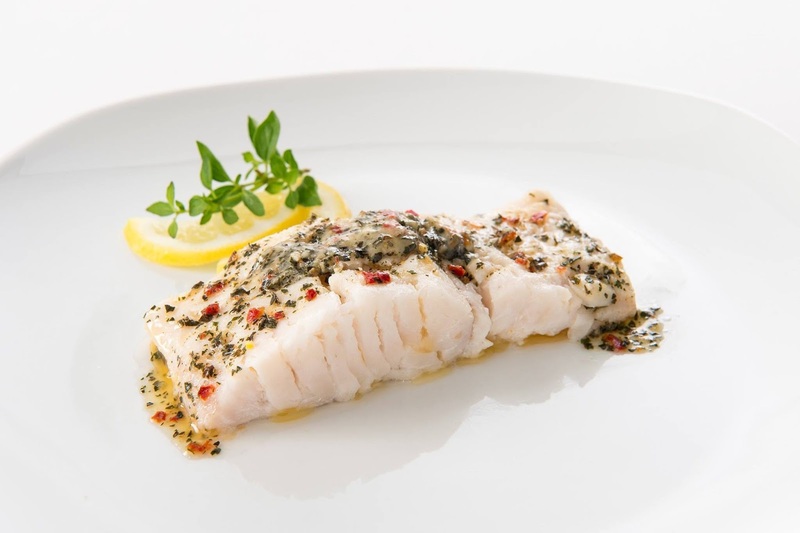 Next, not the same day, came Hake Fillet with Garlic and Herbs, another winner. Finally, there were Two Cod Fillets with a Green Pesto Sauce, another excellent dish. My favourite was the first one while the official blog cook plumped for the third. 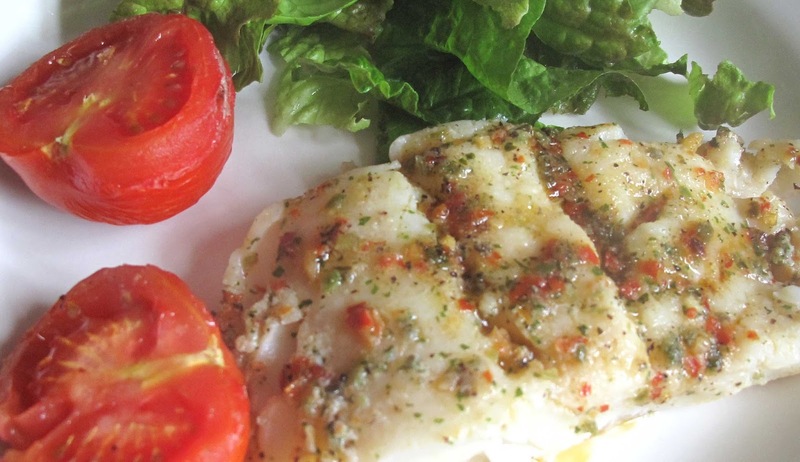 Cod fillet with Ginger, Chilli and Lime. But all three were top notch and, don't worry, these three are just the tip of the iceberg. Keohane’s have quite a range, not just the microwavable, which also includes a tempting Mediterranean Seasoned Mackerel Fillets with cracked Black-pepper Butter. Virtually every fish you can think of is included in the Fresh Fillet range and then they have a seasonal range which currently includes Hot and Spicy Prawn Skewers! So quite a bit of fishing to be done there. 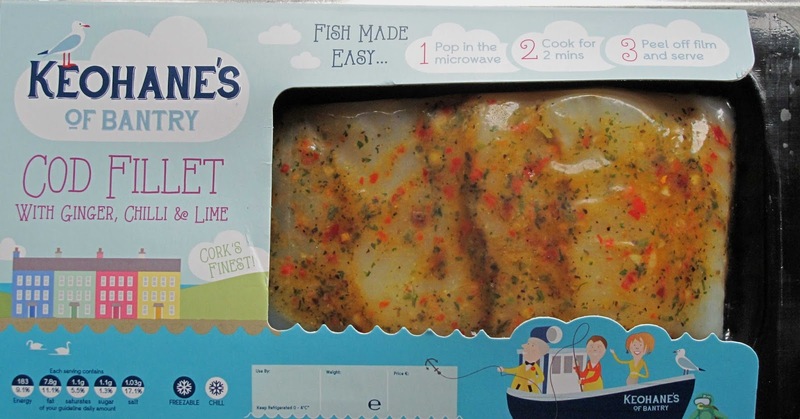 Their facility is on the Kinsale Road and the products are available in the on-site shop and also in Tesco.